The renminbi foreign exchange rate's trading band could be widened this year but was "sufficient" at the moment, central bank chief Zhou Xiaochuan said on Monday, March 5. "I prefer not to comment on the pace (of the exchange rate's adjustment) because it is determined by the market," Zhou, the governor of the People's Bank of China (PBOC), told reporters on the sidelines of the annual session of the National People's Congress. "However, as the adjustment is determined by supply-demand relationship in the market, it should be appropriate." In July 2005, China abandoned the renminbi's decade-old peg to the US dollar and appreciate the currency by 2.1 percent. Since then, the yuan has gained almost another 5 percent against the dollar. The yuan now rises or falls by about 0.3 percent a day against the US dollar, and by 3 percent against other major currencies. "The flexibility is sufficient for the moment," Zhou said. "But I would not rule out the possibility of it being widened when the current fluctuation range is not sufficient." In addition to the renminbi's exchange rate, use of the country's hefty foreign exchange reserves was also a hot topic during the NPC session. 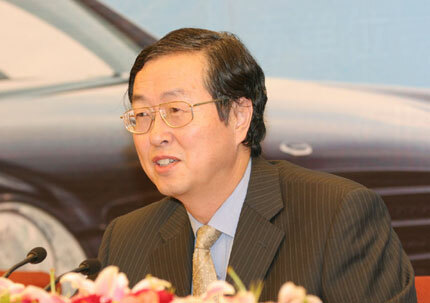 Wu Xiaoling, vice-governor of the central bank, confirmed reports that a foreign exchange investment company would not be established to tap the reserves, without elaborating. However, Guo Shuqing, the former head of the State Administration of Foreign Exchange, yesterday offered what he regarded as investment strategy for the operation of the company to be established. Guo, who is now chairman of the China Construction Bank, said funds of the company should not be used domestically and should be invested mainly in financial assets such as bonds. "It will make no sense if the money is used in the country because that will equal with new investments in renminbi," Guo, a member of the Chinese People's Political Consultative Conference (CPPCC) National Committee, said. Investment targets should be limited to financial assets because the country has not enough hands to manage the investment if the money is put into industrial projects, he said. Guo dismissed reports about him being appointed as a key executive at the investment company. Meanwhile, regulators are aiming to open the country's markets to stock index futures in the first half of this year. Fan Fuchun, vice chairman of the China Securities Regulatory Commission (CSRC), made the announcement in a meeting of the annual top legislative body. The CSRC had made a systematic research on the issues of fund companies' involvement in stock index futures, he said, without elaborating. International financial giants have reportedly been lobbying Chinese regulators to let them join the first batch of investors to trade the nation's pioneering stock index futures. The trade of stock index futures would be launched on the Shanghai-based China Financial Futures Exchange, CSRC chairman Shang Fulin said in October last year. Market watchers believe the introduction of such derivatives could provide institutions with a much-needed tool to hedge risks, but may also spur speculation and widen volatility. The China Financial Futures Exchange, the country's first financial derivatives exchange, was inaugurated on September 8, 2006.